There is no more recognized Rebel band than the Wolfe Tones. 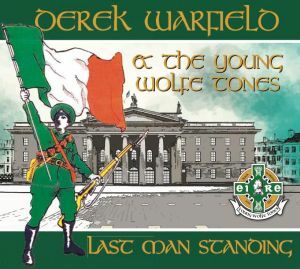 Former founding member Derek Warfield branched off, and head Derek Warfield and the Young Wolfe Tones, who just released Part II of the musical commemoration of Easter Rising of 1916 focused tribute CD’s. The Last Man Standing is 18 tracks of iconic songs, and a few new to me tracks that were also a treasure. The Warfield written book that accompanies the CD is also a treasure, with background, insight to the times and the song, and of course, the lyrics for the songs on this CD. I won’t spoil the history lesson for you, not matter how fascinating – get the CD and see your historical knowledge begin, or coalesce, and names, places, events and the long journey of Irish freedom, open before you. Derek introduces it this way: “The Easter Rising would never have happened with American financial and moral support… The musical and historical CD is dedicated to the memory of Sam Reilly (1896-1989) the last man to leave the GPO and the last Volunteer of the 1916 Rebellion to pass away. “Padraig Pearse sent him back to the GPO to make sure that no one was left behind. Sam was born in Dublin and died in New York. Sean South from Garryowen– The rousing song is set to the music of “Roddy McCorley” and tells of the Sean South, who lost his life in an operation on Brookeborough, RUC/British Army Station on January 2, 1957. Derek attended the funeral and the liner notes talk of that, and more. Typical of so many Irish tunes, the upbeat music belies the sad song within. I believe it is part of why those songs, whether 60, or 200 years old, are still alive and treasured. The Irish Jaunting Car– A cabbie carries travelers of all stations and sees the history past and present in the people and the places the jaunting car picks up, drops off, and passes by. Meet Me at the Pillar– A young man enters a dream, with the heroes of ’16 calling him. “It’s time to sing a freedom song,” he calls, as the ghosts and guardians haunt him again. The Spanish Lady– A woman out of his reach, yet still the balladeer pangs for her. Life marches on, …” old age had laid her hand on me …”. Courtin’ in the Kitchen– A man who may be falling in love, instead lands in jail.The tune is made for dancing. 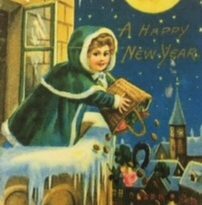 Little Bridget Flynn– by renowned song writer/composer Percy French, the song tells of a single man, who has an eye on little Bridget, and his hope that she will notice him. The Boys of Barr Na Sraide– Boyhood friends hunt for the wren together, and hunt for freedom later. They scatter through emigration; the singer recalls the heroes and wishes they could reunite as in their youth, as the Boys of Barra Na Sraide. The Flag of England– The song tells of the British habit of decimating lands wherever it’s marauders roamed across the world, not just in Ireland. Four Green Fields– you know this one, Tommy Makem’s anthem for Ireland. In the notes, Derek recounts two meetings with Tommy and their shared fear for others trying to tell, or reshape, Ireland’s history: “They are trying to promote our heritage without the baggage of words,” said Makem. 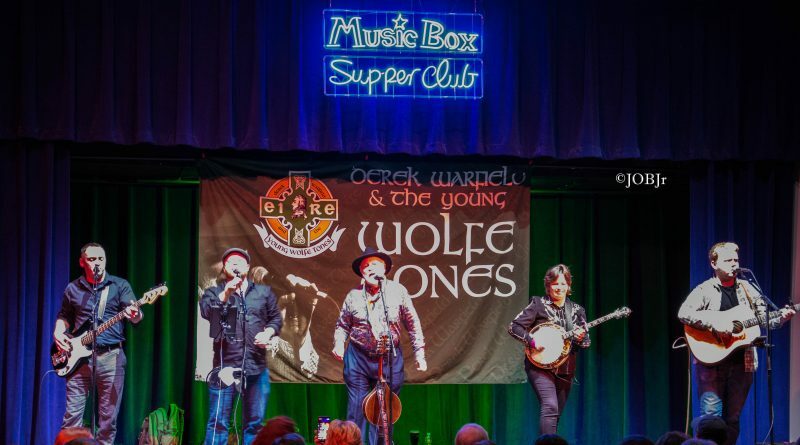 The Moving Cloud – Derek recognizes gifted bandmate Damaris Woods, a banjo player among the best in the world, in skill, contribution and the rare ability to teach and inspire others. Down in the Mines – I love miner songs; their long connection to the Irish is well documented. My passion comes from the time I spent working at Jim Walter’s Blue Creek Coal mines in Tuscaloosa, Alabama. There is danger in the dark, though the dark is rarely the danger. Miner’s, and their families above, live with that danger every shift, 2,000 feet under the surface. The little Hedge School – a lighthearted remembrance of the Hedge Schools – Irelands solution to their thirst for education, despite it being outlawed by the British. Scholars met behind bushes to teach, and avoid revenge thirsty eyes. That thirst is still ingrained in us to this day. Cait ni Dhuibhir (Cate Maguire)– another tribute to the lady that is Ireland. Knowing Irish or not, have a listen for the rhythm of the language, and then join us on Tuesday nights at Pj McIntyre’s to learn Irish. 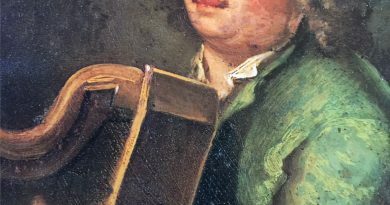 The Wearing of the Green – You know this one to: They’re hanging men and women for the wearing of the green … even wearing green in Ireland, accidental or not, was punishable by death as Ireland entered the 1800s. The song used in bardic storytelling tradition was an alert warning to Irish men, women and yes, children. The form of protest carried on, despite the very real danger. Oh then Paddy dear of did you hear, the news that’s going round? The Shamrock is forbid by law to grow on Irish ground…. Ireland’s Hurling Men – Ireland’s National Sport, Hurling is near as ancient as Ireland. If you’ve not seen The Fastest Game on Grass, or as I like to call it, The Clash of the Ash, check out Youtube. Michael Cusack asked Poet Brian O’Higgins to write a tribute about hurling men and its place in the fabric of Irish nationalism. Here’s to the land we love …. This is a CD that belongs in any Irish historian’s library. The liner notes elevate it to a historical document, with so much background and insight gathered in one place. 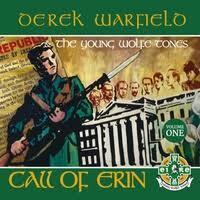 Derek knows Ireland’s history, he lived some of it, and discoursed with those who came out of 1916. It is highly recommended, and a Top Shelf Selection.